Bird Library will serve as a location for Global Game Jam (#SUGGJ17), the world’s largest game jam (game creation) event, taking place on the weekend of Jan. 20-22. University and community members are invited to collaborate, create and present new game ideas to the global community. Participants will generate ideas for digital and analog games, pitch those ideas to one another and form teams to work on a project, all in the course of a single weekend. Think of it as a hackathon focused on game development. #SUGGJ17 begins Friday at 4 p.m. in the Blackstone LaunchPad on the first floor of Bird Library, which is serving as the hospitality site. The kick-off will include a short video keynote and the announcement of this year’s theme. All sites worldwide are then challenged to create games based on that theme, to be completed over the weekend. 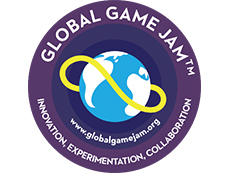 In last year’s jam, over 600 locations in 93 countries created 6,866 games. Syracuse University game presentations will be held from 2-4 p.m. on Sunday, Jan. 22, in the Peter Graham Scholarly Commons, first floor of Bird Library. Jammers who are interested in games—whether video, mobile, web-based, iOS/Android, board, card, tabletop, or other types– are invited to attend, and compete to design innovative game concepts over a fun and food-fueled weekend. No coding or game design skills are required to participate and the event is open to those from all levels of experience from absolute beginner to seasoned developer. Event hours will be Friday from 4-10 p.m., Saturday from 10 a.m. to 10 p.m. and Sunday from 10 a.m. to 4 p.m. Development software and other tools like 3D printing will be available, but participants are encouraged to bring their own laptops and other development devices. There is a nominal registration fee of $10, which includes a T-shirt (while supplies last.) Seating is limited, so participants are encouraged to register early. Jammers must be over 18 or accompanied by a parent or guardian. #SUGGJ17 is being organized and coordinated by Syracuse University’s Games Studies Research Group and brings together two new SU Libraries programs, the Digital Scholarship Space (DSS) and the Blackstone LaunchPad. The DSS is a pilot project by Syracuse University ITS that provides students and faculty with access to a variety of technologies for software design, gaming, data visualization, digital humanities projects and digital mapping. DSS is located in Bird Library to better reach and serve its audiences of students and scholars and has already been used by instructors and students for courses in multiple departments. It features a computer lab to facilitate the development of interactive, immersive and mobile applications, projects and games on emerging technologies and systems, including virtual, mixed and augmented reality platforms. The Blackstone LaunchPad, located on the first floor of Bird Library, is an experiential learning service center that places entrepreneurship at the center of academic life and connects Syracuse University’s innovation ecosystem with a global network that provides support for aspiring entrepreneurs. Supported through seed funding from the Blackstone Charitable Foundation, the LaunchPad offers one-stop connections to the university’s robust network of entrepreneurial resources, programs and activities, along with specialized applications, tools and training to help get startups off the ground and scale. It can be used for ideation workshops, team and mentor meetings, co-working, networking events, coaching and training sessions, venture demos and product launches, as well as other collaborative activities. #SUGGJ17 is sponsored by the Computer Art and Animation program in the Department of Transmedia (VPA), the Department of English (CAS), SU ITS, the School of Information Studies and the Syracuse University Libraries.